Dirt road along the Helenavaart between the villages Griendtsveen and Helenaveen on the border of the nature Reserves Mariapeel (Noord-Limburg) and Deurneschepeel (Noord- Brabant) in the Netherlands. Click here for more information about photo 'Kaasweg'. Mariapeel is an approx. 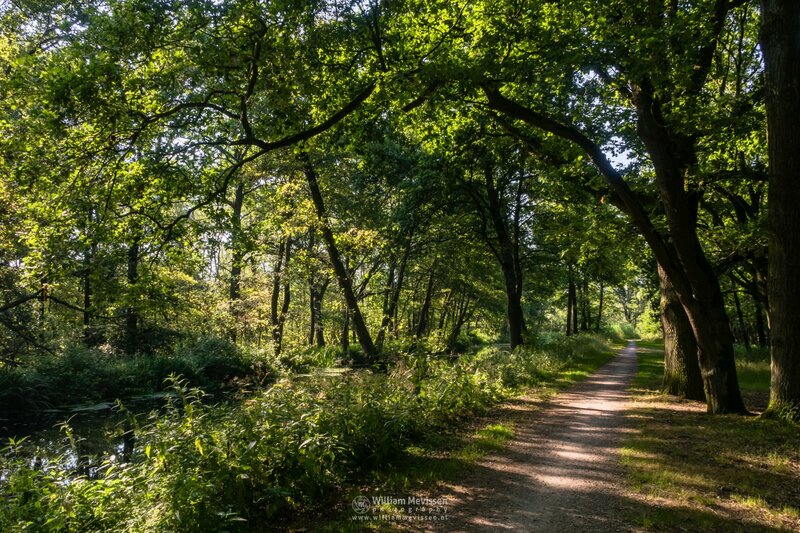 1400 ha nature reserve in the municipality of Horst aan de Maas in the province of Limburg. Mariapeel forms virtually a whole with Grauwveen and the extensive Deurnesche Peel on the other side of the border with the province of Noord-Brabant.